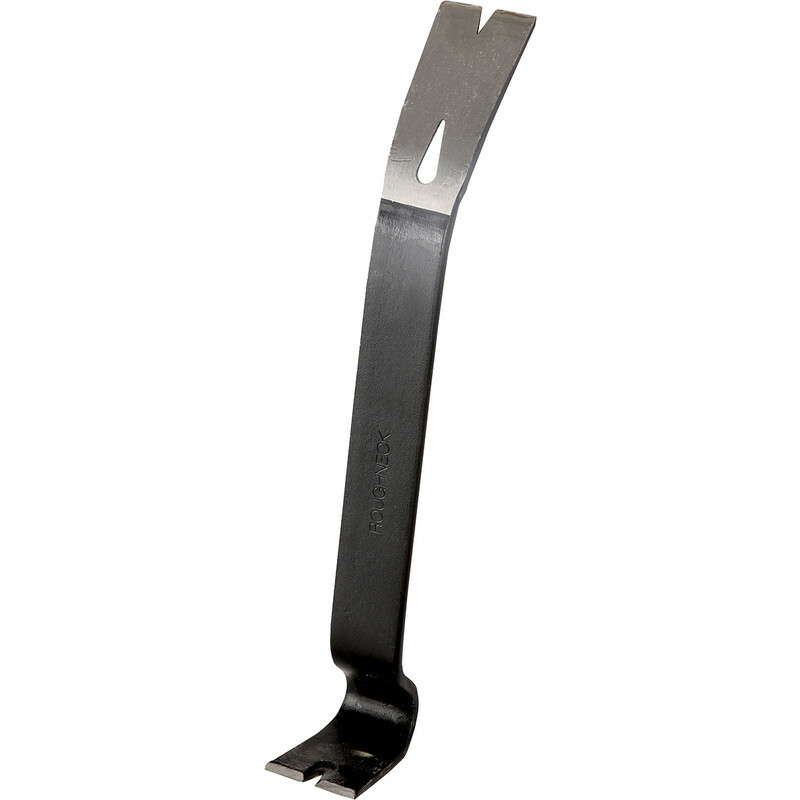 Roughneck Utility Bar 15" (388mm) is rated 4.7 out of 5 by 25. Rated 5 out of 5 by Mike12 from A handy little thing 7" bar is excellent for small nails and such like things. Rated 4 out of 5 by Paul9 from Useful tool Handy size for toolbox, good for removing panel pins and small nails but need larger version for bigger nails. Rated 5 out of 5 by Turbine from Real Good Buy I bought this tool specifically to lift nailed down carpet gripper strips. You can get a good controlled penetration under strips and gently lift without damage to the floor. Rated 5 out of 5 by logger2 from Great tool for the job I purchased this in preparation for remodeling the kitchen due in July. Rated 5 out of 5 by gary2803 from small but useful tool Bought it to rip up my decking.looked small at first but it was brilliant I'd recommend it ,especially how cheap it was.